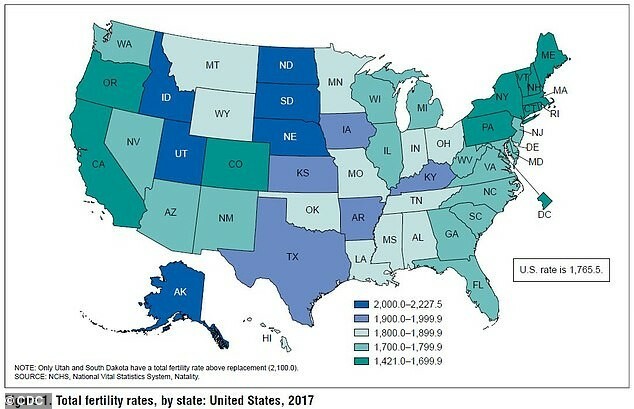 Fertility rates in the US have dropped below what’s necessary to maintain population levels in nearly every state, and the fertility rate for the entire country is the lowest it has been in 30 years, according to a new CDC report. White women’s fertility rates declined in every single state, dropping below the rate needed to replenish the population, the Centers of Disease Control and Prevention revealed in an analysis of 2017 birth data. 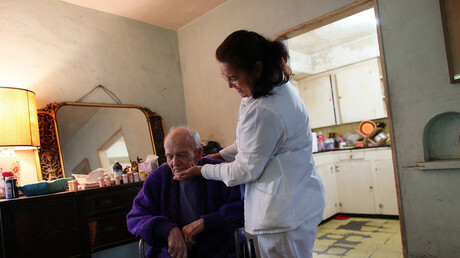 White people are aging more rapidly than other populations, and like all races have been hurt by the Great Recession. The baby drought is the worst the US has seen in three decades, the CDC found, warning that it’s not just whites – the fertility rate for all races combined is now 16 percent lower than what’s needed to sustain current US population levels. Unless the decline reverses, researchers warn there will not be enough healthy young workers to shoulder the burden of the aging American population. Only in South Dakota and Utah was the birth rate high enough to maintain the population. The prognosis is less grim for black women, with a fertility rate higher than the minimum sustainable rate in 12 states, and Hispanic women, whose fertility exceeded the baseline in 29 states. American birth rates have declined over the past decade, especially in large metropolitan areas, which saw an 18 percent drop across all races since 2007. Economic insecurity, later marriages, and a sharp drop in teenage pregnancies have all contributed to the decline, which follows similar demographic trends in western Europe. Many young women feel forced to choose between motherhood and career due to the lack of paid maternity leave and affordable childcare, according to a 2018 survey which analyzed Americans’ reasons for delaying or eschewing reproduction. Others put off starting a family until they could afford a house or pay off student loan debts – goals Americans are finding increasingly impossible to reach. Indeed, it’s not surprising that the two states with birthrates surpassing the replacement rate –Utah and South Dakota – are also two of the three best economic performers for 2017. Utah’s large Mormon population – Mormons have, on average, one more child per family than the national average – doesn’t hurt, either. Washington, DC had the lowest fertility rate, and despite its status as the nation’s capital, it is also notorious for its poverty.